Homesnap, the national home-search platform powering the Broker Public Portal, has announced it has now sent more than one million free leads to listing and buyers agents. Launched by brokers and multiple listing services (MLSs) to provide an industry-friendly alternative for home searchers, Homesnap was designed to help real estate agents build their brand and connect with potential clients. When consumers click on listings they see on Homesnap, they are sent directly to the listing agent for that home, rather than to an agent who has paid to advertise on that listing. More than 145 MLSs across the country representing over 875,000 real estate agents share their listings on Homesnap, giving the platform a nationwide footprint. 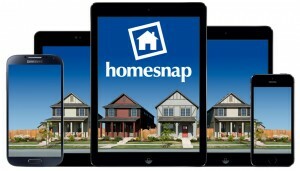 Homesnap also shares free leads from inquiries on properties that are not for sale. Homesnap is available to agents and consumers on the web and on iOS and Android mobile devices, including Apple Watch and Apple TV. Homesnap provides agents with a mobile productivity app, Homesnap Pro, which enables them to access their confidential MLS data and serve clients wherever they are. Homesnap also offers premium software and automated marketing products for agents that allows them to create, run and optimize their advertising on Google, Facebook, Instagram, and Waze. More than 200,000 ad campaigns have been run by agents on these platforms using Homesnap since 2016. More information can be found at www.brokerpublicportal.com and www.homesnap.com/bpp.